Mayville Winter Festival Kicks of President's Day/Valentine's weekend. The 28th Weekend Winter Festival in Mayville, NY kicks off today at six pm in Lakeside park on the shores Chautauqua Lake across from our Mayville Office. The crowning jewel of this years' festival is the Ice Castle. Organizers and volunteers really took advantage of terrific conditions this year. 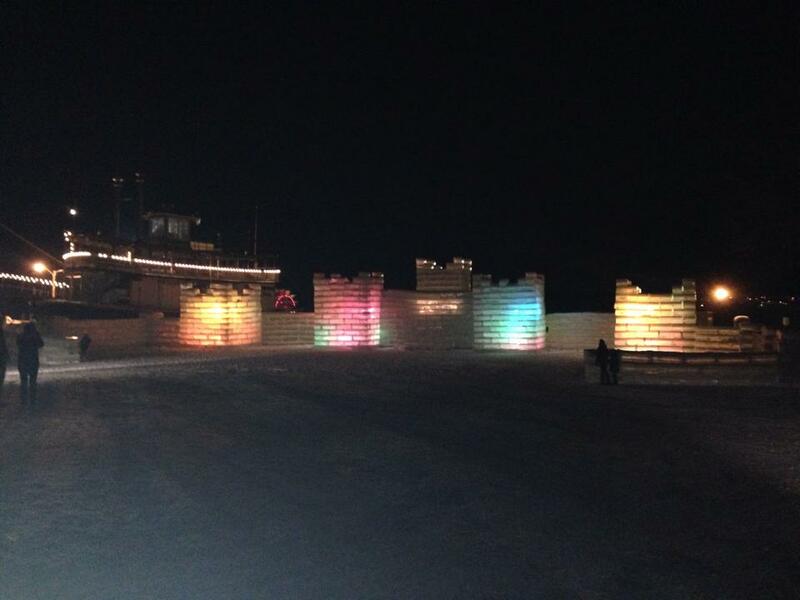 This year's castle is made up of more than 1,300 blocks of ice. There is also a maze for children to play in. Admission is free. Post by President's Day Weekend Winter Festival - Mayville New York. There is more to see and do than just the ice castle. There will be art, food, shopping and activities. Events on Saturday include the Polar Bear swim at noon to benefit the Mayville Food Pantry and the Chili cookoff from 2-4 pm. A full schedule of events can be found at the bottom of this page. The snowmobile trail through the park will be open. 11:30am Cold Water Rescue Demo by Dewittville Fire Dept.